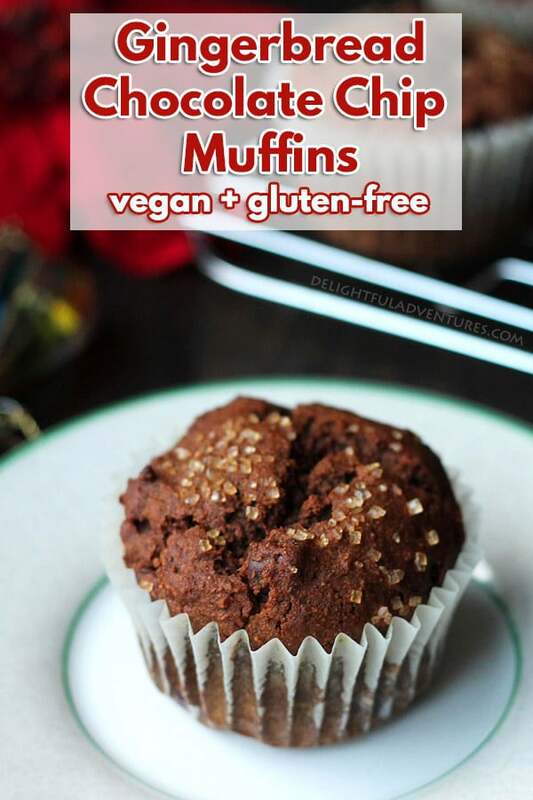 Gluten-free vegan gingerbread chocolate chip muffins that are perfect for serving to family and friends during the holiday season. 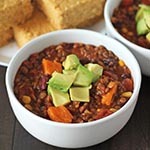 They’re spicy, sweet, and will become a new holiday must-make recipe. The gingerbread recipes keep coming! 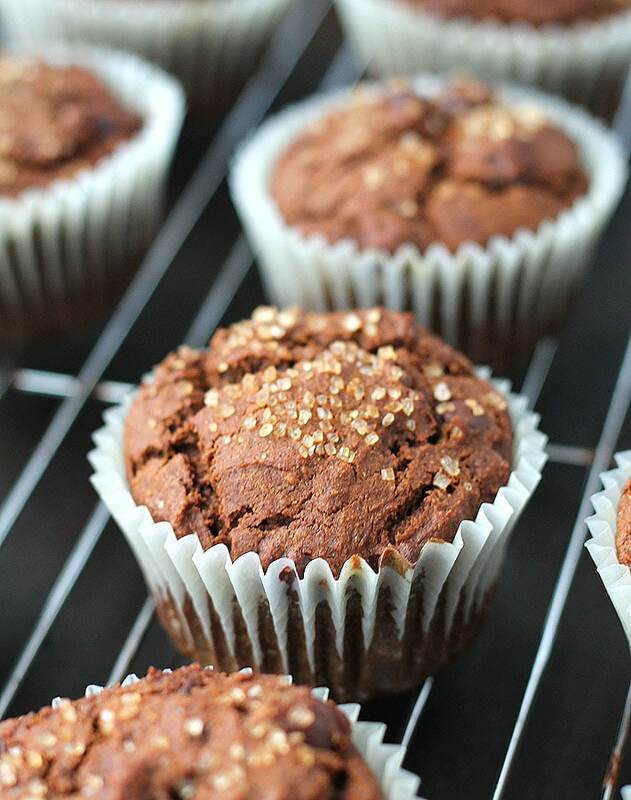 Not long ago, I shared my recipe for vegan gluten free gingerbread loaf, and today, I bring you gingerbread chocolate chip muffins. 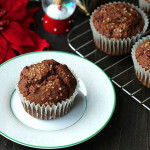 Both recipes are similar, but in this case, I used my vegan gluten free pumpkin spice muffins recipe as my guide to come up with this delicious and festive holiday recipe. I didn’t grow up familiar with “North American holiday flavours” at home. My mom didn’t know about the types of things that are popular here in Canada at this time of year, so she stuck to what she knew and grew up with herself in the Caribbean (and what she knew was pretty amazing, so I never felt like I was missing out!). So despite being born and raised here in Canada, when it comes to things like shortbread, gingerbread, and pumpkin spice…I only experienced those flavours later on. I vividly remember trying shortbread for the first time in grade 9. Our class did a secret Santa gift exchange and someone in the group had given someone a tin of homemade shortbread cookies. I was offered one, devoured it, and was blown away. Now, in my home during the holidays, I include a mix of some of the traditional recipes I grew up with and the new things that were introduced to me throughout the years. Yes, my kitchen is full to the brim with amazing foods and treats during the holidays! I don’t remember the first time I tried gingerbread, all I know is that today, I love it and it’s always a Christmas-time must-have. 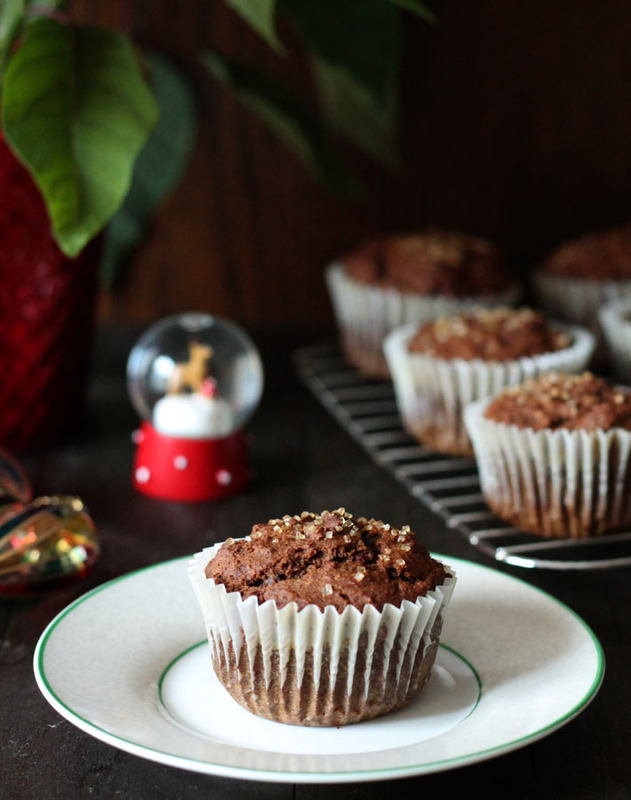 The combo of gingerbread and chocolate work so well together, which is why these perfectly-spiced gingerbread chocolate chip muffins include chocolate chips. Because, why not? 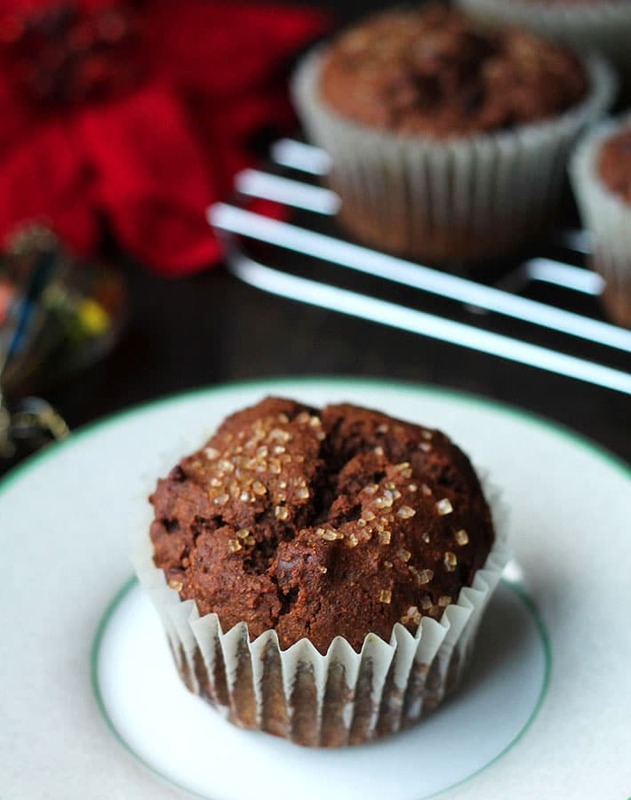 The chocolate adds a great flavour that complements the gingerbread spices. So good. Topping each muffin off with a sprinkle of turbinado sugar before they bake is optional but it does add a nice little crunch and a festive sparkle! If you make them, please share a pic with me on Instagram and don’t forget to follow me over there on Instagram and on Facebook! 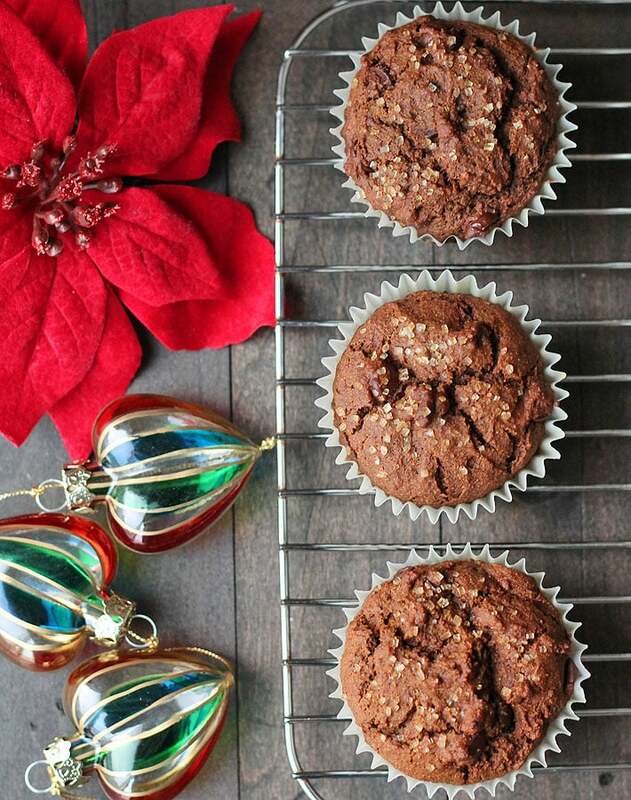 Spicy, sweet, and perfect for the holiday season, these gingerbread chocolate chip muffins are great with a cup of tea and for serving to friends and family. In a medium bowl, whisk together the flour, baking powder, baking soda, salt, ground ginger, ground cinnamon, ground cloves, and ground allspice. In a large bowl, mix the coconut oil and flax eggs together. Stir in coconut sugar, pumpkin puree, and molasses until blended. Slowly add the dry mixture to the wet mixture and stir until combined. Fold in chocolate chips. Divide batter into the 12 muffin cups. Bake for 20 minutes or until toothpick inserted in the middle of the largest muffin comes out clean. It's important to know that different gluten-free flour blends use different ingredients and ratios, so results will always vary if you substitute. 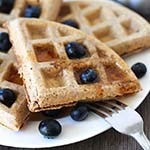 I have never used any other brand of flour to make this recipe (other than Bob's Red Mill, the one with the red label you see in the link, not the one with the blue label! ), so please know that your results may not be the same as mine if ingredients are substituted. Nutrition info is based on 1 muffin made without turbinado sugar sprinkled on top. Nutrition info is only to be used as a rough guide. Click to learn how nutrition info is calculated on this website. This looks really good. 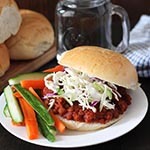 I’m going to try this one and your loaf recipe, but with regular glutinous flour – stay tuned for the exciting results! I’m so excited to hear how it turns out! !